Non-IP KVM and KVM over IP have the same aim: i.e. to allow multiple users to take control of multiple servers using a screen, keyboard and mouse. The main difference is that with a non-IP KVM you don’t get access to it via the Ethernet network but via dedicated UTP cables. In addition, the distance between the servers and users is limited by the length of the cables. If you do not need access via the network, then this solution is the most affordable in financial terms. The DDX-30 from Adder makes it possible to control a maximum of 23 servers with high-resolution video quality (1920×1200). 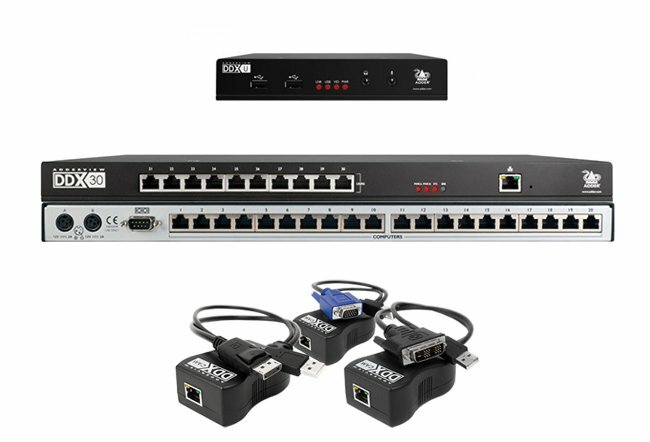 This system is extremely flexible since it contains 23 ports that you can configure either as server inputs or user outputs. However, the 7 ports at the front of the unit can only be employed for users. In fact, you access the servers via compact stations connected by a KVM cable which is UTP category 6. The maximum distance between the server and the user is approximately 70 metres. Thanks to its stacking and cascading capabilities, Raritan&apos;s Paragon II analogue KVM can accommodate up to 64 users and manage thousands of servers! 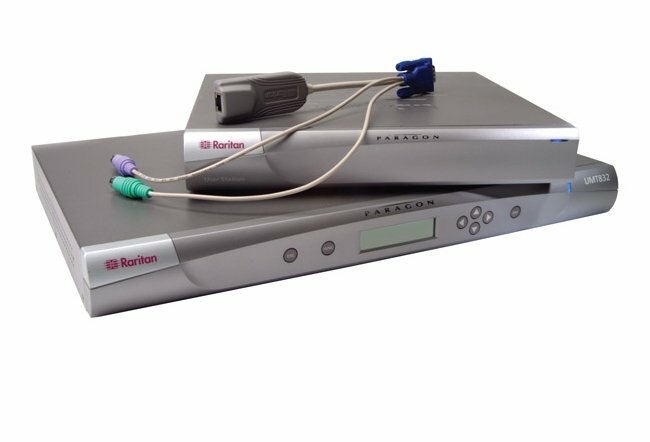 In the same way as Adder, users access the servers connected to the Paragon via a small station that replaces the computer. However, this station is connected via a category 5 UTP cable over a maximum distance of 300 metres.